At RAVE, you can have confidence you’re getting top notch professional assistance in your diagnosis and care. Transform the Mammography Patient Experience - Introducing the SmartCurve™ Breast Stabilization System. Clinically Proven to Deliver a More Comfortable Mammogram Compared to Standard Compression. We are a group of 11 board certified Radiologists in a private practice setting. Non Invasive CT Heart and Lung Screenings. Interventional Radiology is a subspecialtly of radiology in which minimally invasive procedures are performed using imaging guidance. Some of these procedures are done for purely diagnostic purposes, while others are done for treatment purposes. Pictures are used to direct these procedures, which are usually done with needles or other tiny instruments like small tubes called catheters. The images provide road maps that allow the Interventional Radiologist to guide these instruments through the body to the areas of interest. Radiology Associates of Venice, Englewood and Sarasota are dedicated to excellence in Women's Imaging. We provide state-of-the-art women's services such as ultrasound, 3D Mammography with SmartCurve Comfort Technology, Breast MRI, and Bone Density DEXA testing. Radiology Associates of Venice, Englewood and Sarasota are happy to provide health screenings to patients that are proactive in their health. Screenings include: calcium cardiac scoring, lung cancer screening, osteoporosis screening, breast cancer screening, and peripheral artery disease screening. RADIOLOGY ASSOCIATES OF VENICE, AND ENGLEWOOD ARE THE ONLY FACILITIESIN THE AREA THAT PROVIDES SMARTCURVE™ BREAST STABILIZATION SYSTEM. 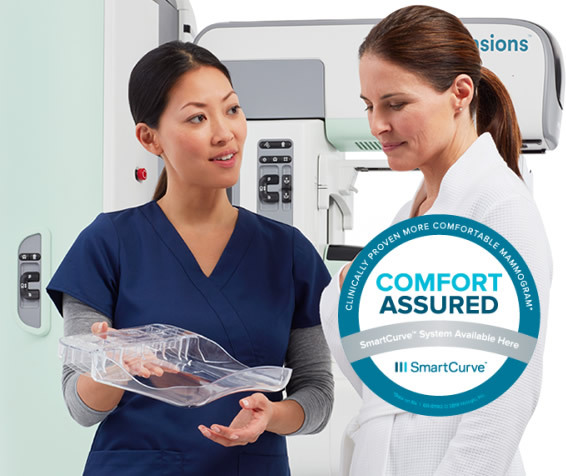 Transform the Mammography Patient Experience - Introducing the SmartCurve™ Breast Stabilization System. For the month of October we are offering $89 Screenings 3D Mammograms with SmartCurve Technology for Non-Insured Patients. Breast cancer awareness is an effort to raise awareness and reduce the stigma of breast cancer through education on symptoms and treatment. 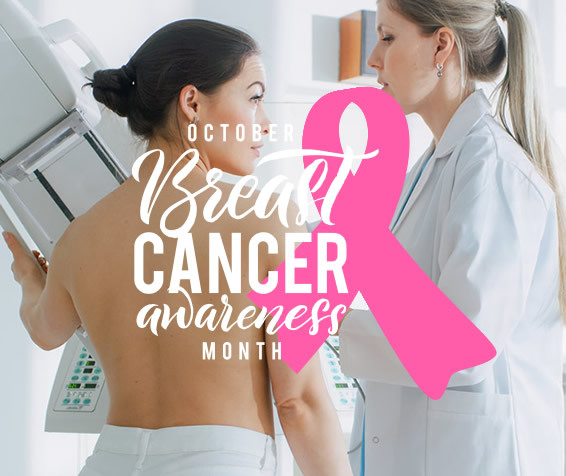 The pink ribbon is the most prominent symbol of breast cancer awareness, and in many countries the month of October is National Breast Cancer Awareness Month.